The Montgomery County Automated Traffic Enforcement Unit (ATEU) has vigorously objected to criticisms that the program lacks transparency. The GOCA report noted that "Olney Speed Limits were lowered prior to introduction of Speed Cameras", and noted the high proportion of speed camera citations issued in and around Olney relative to the rest of the county. However most of the task force recommendations revolved around issues of transparency. The GOCA task force raised objections regarding a "Citizens Advisory Board on Traffic Issues" (CAB-TI) which reportedly reviews and affirms new speed camera locations. The task force noted that there is no documentation as to how the CAB-TI members are selected. The task force noted that the only way to contact the CAB-TI is by requesting a new speed camera location, there is no documented way to object to a speed camera location or provide any sort of public input or complaint. There has not been an attempt to appoint a CAB-TI with balanced views of the camera program; instead, the members appear to be strongly pro-camera, consistent with the views of the ATEU itself. In discussion, the CAB-TI representative informed the Task Force that it could recollect objecting to only one camera placement during the tenure of the current CAB-TI. problems, etc. However, the Task Force found the original Ombudsman to be a full-time County employee in the ATEU, specifically a ATEU contracting official on the Xerox camera contract. and further noted that neither the so called "ombudsman" nor the CAB-TI operate independently from the ATEU. Montgomery County should revise the Citizen’s Advisory Board for Traffic Issues (CAB-TI) applicable to the speed camera program, ensuring the Board is selected independently of the MCPD and ATEU, has established term limits, represents the full spectrum of views on the efficacy of speed camera usage, and that its views shall be considered by the ATEU. Montgomery County should appoint, fully independent of the MCPD,ATEU, and Local Designee, a Citizen’s Advocate to represent the citizens and communities regarding speed camera use, placement, and other concerns. The automated Traffic Enforcement Unit responded to the task force by objecting to the GOCA report, including all findings and recommendations regarding transparency. "the Traffic Division (like other MCPD directorates) consults an informal advisory board comprised of residents who bring varied perspectives to the table, but who lack personal agendas to either expand or contract the speed camera program. Their participation is unique among similar programs in Maryland, and it helpfully informs the Traffic Division’s judgment. However, the deliberative process surrounding the selection of speed camera locations like the processes for determining where and when other law enforcement operations will be conducted is not public, nor should it be." 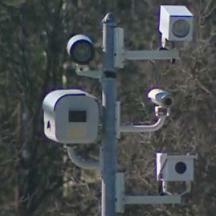 Public Documents show that the CAB-TI was created in 2006 by the MCPD Director of Traffic, and the county website shows that the CAB-TI reviews locations where new speed ccameras would be deployed -- presumably with the intention of leading the public to believe that locations are selected in consultation with the public. However there is no published information about who the members of this Citizens Advisory Board are, how someone would contact them with a complaint or pertinent information, or when their meetings take place. The Maryland Drivers Alliance contacted the Montgomery County Traffic Division Director and asked for the minutes of CAB-TI meetings, and was told that none were kept. In June, the Maryland Drivers Alliance filed a complaint with the Open Meetings Compliance Board, to determine whether the CAB-TI might fit the definition of a "public body" under the open meetings act. The office of the county attorney has thus far responded with a nine page reply to the complaint, essentially confirming the material facts in the complaint (regarding the authenticity of public documents citing the CAB-TI's function and creation, and confirming that no minutes were kept), but asserting that the Open Meetings Act does not apply to them because "The upshot is that the Citizens Advisory Board - Traffic Issues" is not recognized as an advisory board that functions as part of the County Government. The county attorney's office -- which employs a total of 48 taxpayer funded attorneys -- has requested an extension of an additional 30 days to compose a longer response to why the open meetings act should not apply too the CAB-TI, rather than simply using their resources to make the CAB-TI more transparent and representative of all citizens like the name "Citizens Advisory Board" implies. Montgomery County's ATEU has been involved in other secret meetings besides the CAB-TI. In December 2013, Captain Tom Didone organized a "speed camera symposium" which included members of speed camera programs from across the state. Included in the agenda were discussions of speed camera errors and upcoming legislation. A co-sponsor of the event invited the Maryland Drivers Alliance to send an observer to the event. However Captain Tom Didone forbid our representative entry, citing the fact that we oppose speed cameras as the reason. The press was also forbidden to observe the event, which was co-sponsored by the Maryland Association of Counties(MACO) and the Maryland Municipal League(MML) --organizations which lobby on behalf of local governments -- largely at taxpayers expense. "When the General Assembly revised the law in 2009, they removed the paragraph that required the owner to identify the driver, if they wished to transfer the liability. This provision was a mandate in the law that passed the 2006 General Assembly when Montgomery County was authorized to operate the first speed cameras in the State. This is why I used the phrase “Loophole” because by removing the paragraph, an issue was created that was not previously experienced. Last year, when I worked on the Speed Camera Reform legislation workgroup, I was informed by staff that legislators voted to remove the “Squealer provision” as it was referred to when they revised the law in 2009. It is my personal opinion that the legislators took this action without being fully informed of the consequences because they did not have the same workgroups as they did last year. " This workgroup, organized by former State Delegate James Malone, drafted speed camera related legislation passed in 2014. We have since confirmed that the now former Program Manager and Captain Didone's deputy were involved in these work group meetings as well, as was the head of Prince George's County's speed camera program. However opponents of speed cameras and the press were not permitted to observe these meetings. The meetings were apparently held completely "off the books" -- with the Department of Legislative Services claiming to recognize no such workgroup. "it is a matter of both practical and contractual necessity that the data generated by the Safe Speed program be maintained by the vendor. The County simply does not have the financial or human resources to perform the specialized data analysis that the Report seeks, and expanding the workforce to manipulate that data is a solution in search of a problem." A circuit court previously determined that records of a speed camera program held by a contractor were public records that are subject to the Public Information Act in the case of "Ely vs Town of Morningside". Montgomery County asserts that they county, not Xerox, "operates" the speed camera, and that the vendor does not substantially control the program. However their response to the task force implies this is not truly the case, given that the county asserts it does not even have access to all program data and asserts that it doesn't even have the physical capacity to maintain or analyze information about the program. This is not the only time issues have been raised with access to information about Montgomery County's program. The editor of the Maryland Drivers Alliance sent the Montgomery County "Local Designee" several questions on June 6 pertaining to speed camera errors, which the designee has as of today not responded to. Because of this, we followed up with a Maryland Public Information Act (MPIA) request on June 22 for information relevant to those questions, and that request has also not been responded to as of today, even though the statutory time frame for responding to an MPIA request has elapsed. In 2011, Montgomery County's former Inspector General Thomas Dagley decried what he called a Culture of Secrecy in Montgomery County, stating "In Montgomery County, senior management in government and the county attorney’s office have grown too accustomed to operating behind closed doors and avoiding the tough questions." It is clear based on our own recent experiences that nothing has changed since then, and that the current leadership in Montgomery has no intention of changing their secretive mindset which uses every loophole they can construct to avoid being transparent and honest with the public.